Asparagus has been simply outstanding this year — just the right amount of sweetness and crunch. What better way to highlight all this perfection than in a delicious and creamy pasta dish! I was inspired by Ina Garten’s lemon fusilli with arugula, asparagus certainly pairs well with lemon (and what doesn’t pair well with pasta) so why not! Put a large pot of salted and oiled water on the stove to boil. In a medium saucepan, heat up 1 tbsp of olive oil. Add the minced garlic and cook for about a minute or so, then add the cream, lemon juice and lemon zest, 2 tsp salt and 1 tsp pepper. Bring the mixture to a boil, then lower the heat and simmer for about 15-20 minutes or until it thickens. 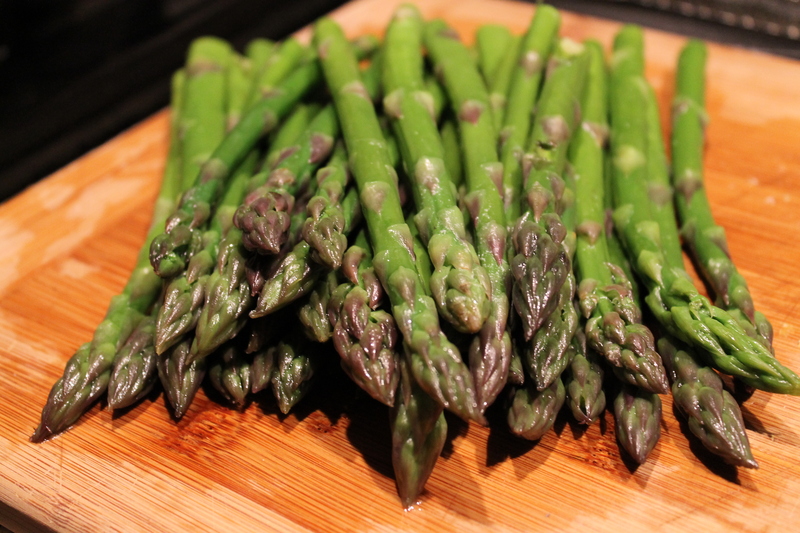 Snap the ends off of the asparagus and blanch for 90 seconds in the boiling water. Remove with tongs or a slotted spoon and plunge immediately into an ice bath to stop the cooking process. I used the asparagus water to cook the pasta as well — according to the package. Drain the pasta and toss into the lemon cream sauce. Off the heat, add a generous amount of parmesan cheese — 1/2 to 1 cup, as much as you like. Cut the cooled asparagus into bite sized chunks, toss into the pasta and serve immediately! 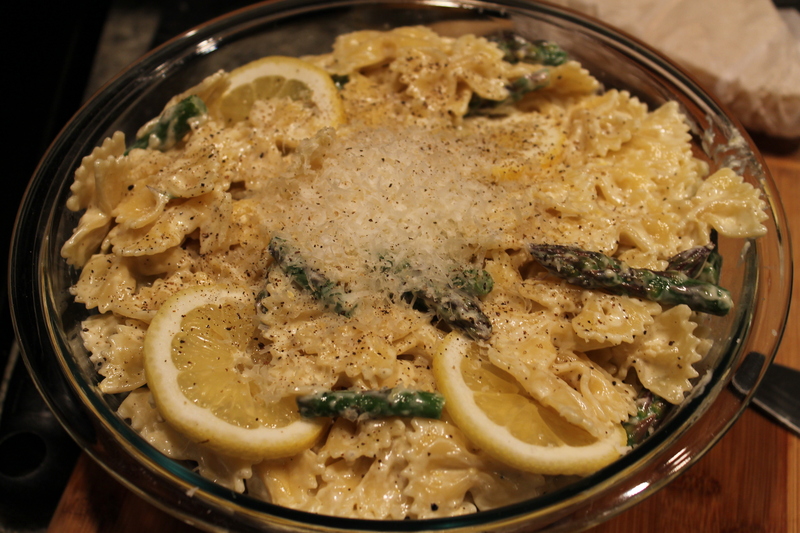 This entry was posted in Asparagus and tagged asparagus, cream, cream sauce, dinner, Ina Garten, lemon, pasta, summer. Bookmark the permalink. UMMM….this might just make me want to (gulp) cook!